Angela Rossitto was in residence this July at Real Art Estate in Lentzke, Brandenburg, Germany. There she held a solo exhibition 'Looking Up/Looking Down' and artist talk. See Gallery for images. Angela Rossitto is exhibiting in group exhibition 'Between Realms' at First Site Gallery, RMIT. See Gallery for images. Angela Rossitto was part of the Brisbane Fringe Festival at Cut Thumb ARI. See Gallery for images. 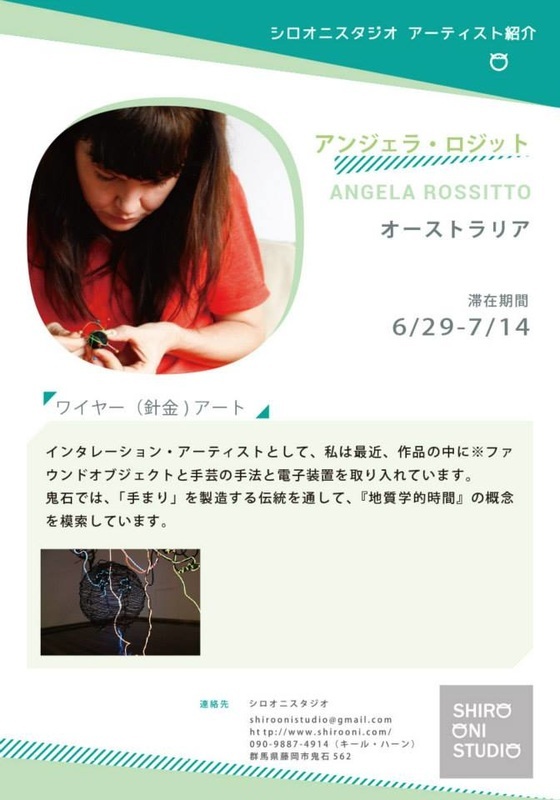 Angela Rossitto was in residence at Shiro Oni Studio in Japan, in Onishi, Gunma prefecture from late June to mid July. See Gallery for images. Angela Rossitto recently had an exhibition entitled 'Terraforming' at the Serpentine Gallery, Lismore in May. See Gallery for images.